In the wake of Hurricane Katrina (2005), Portland, ME-based Woodard & Curran, Inc. supported the disaster relief effort, and the scope of that tragedy prompted action to answer a question that had been on the minds of many for some time: How could the company expand its charitable giving into sustainable and ever-growing funding to support the environment? Over time, the answer to that became the Woodard & Curran Foundation, which was formally granted 501(c)(3) status in 2010. We distinguish ourselves from other foundations that rise out of corporations by being a public foundation, raising money annually from people and organizations with common values around applying collaborative approaches to address complex environmental problems. The employees of Woodard & Curran, Inc. remain strong, collaborative partners and the primary resource for the Foundation's funding and volunteerism, we welcome and encourage external funding partnerships, too. We are proud of our origins, the work we do, the impact we have on people and the environment around the world. We are turning our passion into progress, focusing on the issues the world faces today. Will you join us? Barry is a founding Board member of Woodard & Curran Foundation, and a Senior Principal with Woodard & Curran, Inc. Barry took on the role as Board President in 2016 with a goal of bringing the “Giving While Living” philosophy of philanthropy to our Foundation. A professional civil engineer licensed in multiple states, Barry’s expertise centers around municipal infrastructure engineering and urban site development. In addition to the Woodard & Curran Foundation, Barry is a current and former Director on several non-profit organizations. Barry’s career has focused around solving complex environmental challenges and he brings those skills, energy and enthusiasm to support the Foundation’s mission and vision. Bruce is a Maine attorney with over 25 year of experience. After graduating from the University of Maine School of Law, Bruce practiced environmental law with a small firm for seven years before joining Woodard & Curran, Inc. in 1999. He currently serves as the Director of Contracts and Risk Management, as well the Corporate Secretary. Bruce was one of the initial Board Directors of the Woodard & Curran Foundation and chaired the Foundation’s Giving Committee for several years. Bruce’s extensive experience working with diverse project teams on complex issues, coupled with his commitment to a consensus driven decision-making philosophy are assets that are aligned with the Foundation’s Mission and Value statements. Celeste is the Executive Assistant to the CEO of Woodard & Curran, Inc. She also leads the Sustainability Committee in internal efforts to improve and implement sustainable practices within the firm. Prior to Woodard & Curran, she spent eight years working in fundraising and development for nonprofit organizations and was co-founder of the Board of Directors for an environmental organization, The Naked Truth Project. She has served on the Woodard & Curran Foundation Board of Directors since 2011. She is passionate about the environment and the positive impact people can make in the places where we live, work, and play. Her daughter, Sofia, is her inspiration in doing what she can to make the world cleaner and healthier for our future generations. Thomas brings over 34 years of experience in the financial sector to his role as the Foundation’s Treasurer. He has considerable experience as both a Controller and an Account Manager and manages Woodard & Curran, Inc.'s Insurance Bonding & Procurement division, specializing in insurance risk. In addition to serving as the Foundation's Treasurer, he is a member of the Fundraising & Development Committee. Tom is passionate in his commitment to making the world a better place, and he appreciates the opportunity that both Woodard & Curran and the Foundation give him to do that. Jen is the Director of Marketing for Woodard & Curran, Inc. She has served on the Giving Committee since the Foundation’s inception in 2010, most recently in the role of Co-Chair. Formerly a member of the Green Schools Committee of the U.S. Green Building Council’s Maine Chapter and the Development Committee of the Maine Cancer Foundation, she is a graduate of the Institute for Civic Leadership’s Young Emerging Leaders Program and a Director At-Large on the Board of the Society for Marketing Professional Services’ Northern New England Chapter. Jen is a Certified Professional Services Marketer with more than 20 years of experience in marketing and communications, and she is passionate about participating in purpose-driven work that makes the world a better place. Mark is a project manager with Woodard & Curran, Inc. in the operations group and is dedicated to protecting our environment. As the project manager of a flood control facility in Massachusetts, he understands the importance of educating the public on protecting our ever-changing environment. Mark is currently a member of the Foundation's Development Committee and was previously a member of the Giving Committee. Mark understands the importance of collaboration with others to find ways to improve our resources to protect our environment. Mark’s strong leadership skills, meticulous attention to detail and the ability to problem solve quickly and efficiently will benefit the foundation’s goals and mission. Mark is passionate about the foundation’s mission and is dedicated to doing everything he can to bring awareness to the challenges our environment faces. Duff is a founding Board member of Woodard & Curran Foundation and is an Executive Vice President and Board Member with Woodard & Curran, Inc. Duff is currently the Business Unit Leader for Woodard & Curran’s national Environment & Remediation services businesses. He has over 30 years of environmental consulting experience managing and conducting field investigations, feasibility studies, and remediation activities at hazardous waste sites for clients in the private and public sectors. Duff focuses his practice on identifying and applying risk management tools and criteria to complex environmental problems and regulatory settings nationwide. Duff has been active with the Foundation fundraising activities helping initiate and participating in our New England Road Races, New Jersey Golf tournament, and Atlanta-area Casino night events. A high energy leader, Duff brings his curiosity for the natural environment and our need to adapt to the ever changing climate to support the Foundations growth and direction. Kelly is a registered Professional Engineer with more than 20 years of experience in the environmental field. A former regulator with The Rhode Island Department of Environmental Management (RIDEM), she transitioned to consulting in 1997 and now serves as a project manager assisting industrial, utility, institutional, and government clients in achieving and maintaining environmental compliance. Kelly is the Foundation's Giving Committee Chair. Her experience with a wide variety of topics (air pollution control, water/wastewater management, spill prevention, etc.) offers valuable insight to the challenges of achieving environmental citizenship while maintaining a healthy economy. She believes that cultivating a positive corporate culture and giving back to our community go hand in hand and her commitment to the Foundation is her way of ensuring that our resources are enjoyable for future generations. Craig is a chemical engineer with over 30 years of experience in the environmental consulting field. His background has included remediation projects predominantly in the mining and oil & gas industries. He has enjoyed applying multiple forms of water treatment, storm water management, and hazardous waste treatment and recovery techniques to solving problems on various sites. Craig’s most recent work experience involves a complex Superfund site impacted by decades of historic mining operations within the boundaries of a small urban area, requiring unique strategies for groundwater and storm water management. A life-long Montanan, Craig enjoys serving his community by participating on his church board and officiating high school football. 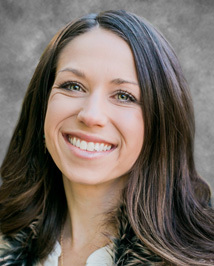 Christine is a Certified Public Accountant (CPA) in California with 10 years of experience in accounting and finance. Before joining Woodard & Curran, Inc.’s finance team in 2016, she began her career in public accounting in the non-profit sector and has always had a passion for community and philanthropy. She volunteered with Big Brothers Big Sisters of Central Arizona prior to moving out of state, and continues to enjoy volunteering and participating in local community events. Enrique has 20 years of experience in the water industry including water resources systems analysis and planning, systems modeling and other decision support; sustainability and climate change adaptation. He has worked both in the United States and internationally and enjoys developing new tools and processes to effectively address the complexity we face in today’s environmental and water resources projects. He works with teams pushing creativity and innovation to develop these tools and processes while engaging with decision-makers and stakeholders. Enrique and his family have a commitment to service as a core value and have volunteered in different non-profit and non-governmental organizations for several years. Jedd is a geologist who specializes in environmental assessment in support of property transactions and remediation design. For over 17 years, he has focused on the remediation and redevelopment of former industrial and commercial properties to create affordable and market rate housing, manufacturing and commercial space, and opportunities for education and international trade. His technical, programmatic, and funding acquisition and management capabilities have also contributed to the success of several EPA-funded Brownfields assessment and cleanup projects, which have reused infrastructure and revitalized contaminated properties throughout New England. Jedd applies his problem solving, project management, and environmental engineering expertise to support the external develop of the Foundation, including consistently contributing to Foundation events and outreach efforts. Gillian is a chemical engineer with nearly 20 years of experience working in process design and project management for food processing, manufacturing, pulp and paper, and power industries. As a Project Manager at Woodard & Curran, Inc., she focuses on the design, oversight, and installation of process and utility systems. Also a HACCP Certified Engineer, Gillian is experienced with food safety programs. She has been an active member of the Foundation since its beginning; first with her tenure on the Giving Committee and then moving on and bringing her passion for engaging individuals to the Development Committee. As a chemical engineer with a background working with industrial clients, she understands the impact of industry on our natural environment and what is required to protect it for years to come. Liz started with Woodard & Curran Foundation in 2017 as our first paid contractor. She brings deep and diverse talents with her from her experience working in a variety of capacities with nonprofit organizations large and small, notably Rhode Island School of Design, HopeGateWay, and The Family Restored. She is a member of the board and on the teaching faculty at The Alcyon Center, a nonprofit research and retreat center on Seal Cove, ME. A Certified Iyengar Yoga Teacher and Certified Yoga Therapist, Liz also teaches yoga and leads workshops in Portland and Downeast Brooksville, ME.